An all-new steampunk-meets-fairy-tale series of heart, legacy, and duty. Christina Creangle stared at the smoldering ruins of her life's work. When the Moufan, an ancient secret society, offered to take care of her senile father as repayment of an old debt, she agreed. The idea of isolation with both her protege and her legendary inventor father, was too compelling to question. But the winds of history are blowing fierce after the first airship battle, spreading radical ideas to the ambitious and the fearful. Can the Moufan resist the temptation to use everything in their possession to seize power? 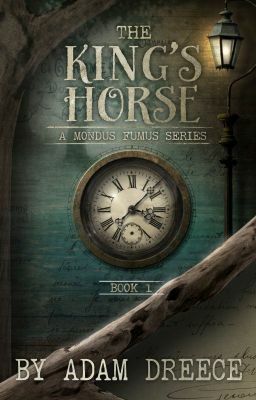 Elsewhere, in the ruins of a presidential palace, an old, mechanical horse is discovered that could tip the continent's delicate balance of power. From the world of the international best-selling series, The Yellow Hoods, comes a new series that weaves together Black Beauty, Humpty Dumpty, the Muffin Man, Santa Claus, and more. Note: This book is available (as of June 15) on Amazon, Kobo, Apple iBooks, GooglePlay Books, and Draft 2 Digital.